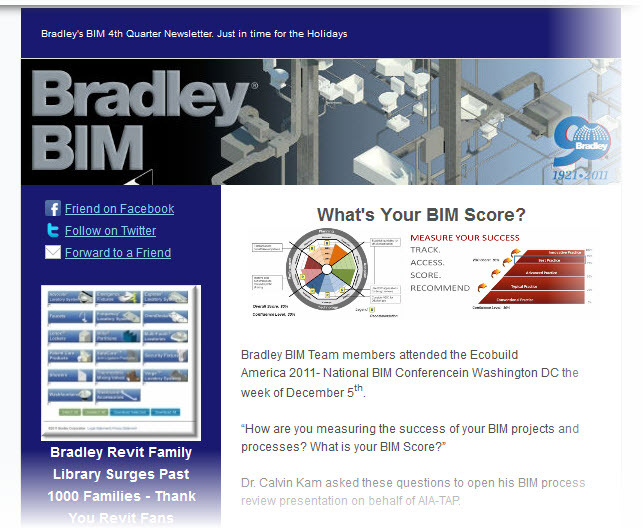 The Bradley BIM Brief | Design-Construct Edition is a 1-page newsletter (PDF) that Bradley Sales Teams and Bradley Field Representatives email to their design-construction community partners (architects, engineers, contractors, owners). 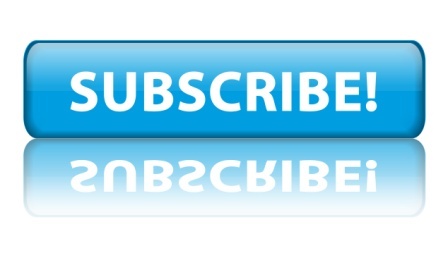 Design-construction BIM industry trends and much more. 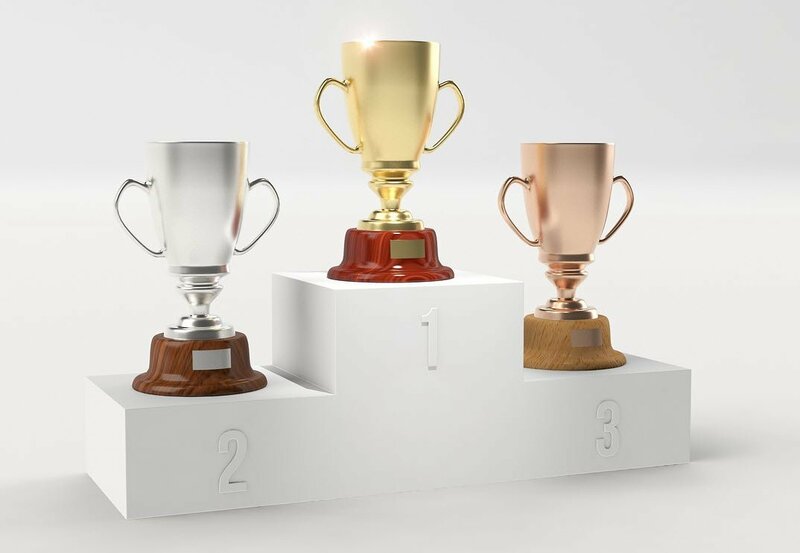 The Bradley BIM Brief | Design-Construct Edition is a monthly, 1-page newsletter (PDF) that Bradley Sales Teams and Bradley Field Representatives email to their design-construction community partners (architects, engineers, contractors, owners). 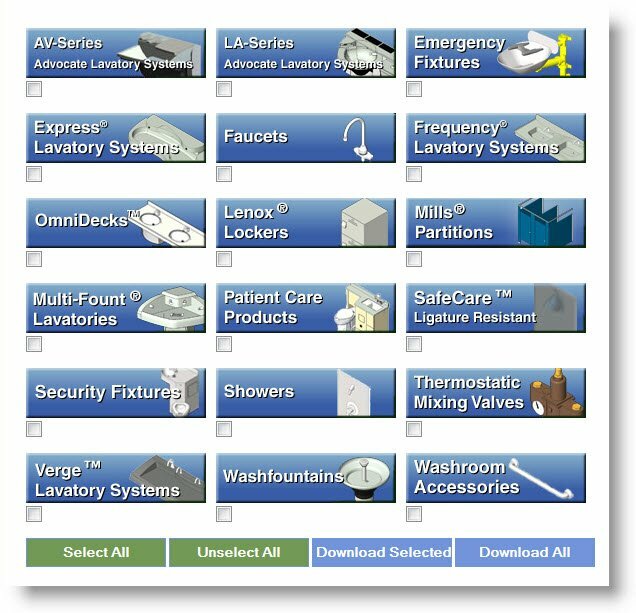 Each edition contains a minimum of 3 articles that reference Bradley Revit Library Updates (1000 Families), Bradley Revit technical support articles, Revit tutorials, Bradley BIM polls, AIA-CES webinar events, innovative plumbing & specialty equipment products available as Bradley Revit families, design-construction BIM-based industry trends and much more. 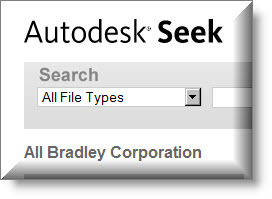 Each edition contains a minimum of 3 articles that reference Bradley Revit Library Updates (1000 Families) Bradley Revit technical support articles, Revit tutorials, Bradley BIM polls, AIA-CES webinar events, innovative plumbing & specialty equipment products available as Bradley Revit families, design-construction BIM-based industry trends and much more. Here is the 2009 McGraw-Hill SmartMarket Industry Report that reveals the success and Return On Investment (ROI) of a BIM process using case studies & design project examples. The report presents survey results and case studies from various architects, engineers, contractors and other AEC industry participants from across the country.